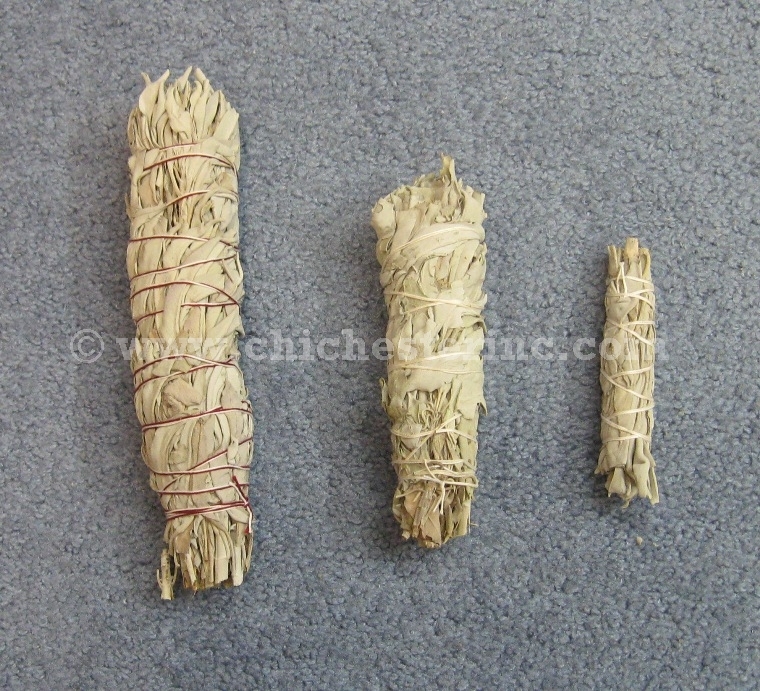 Left: 8-9", 6-7", and 3-4" white sage bundles. See a size comparison with a soda can. 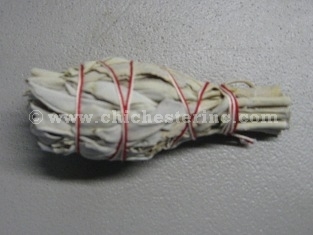 Middle: 3-4" morewhite sage bundles. 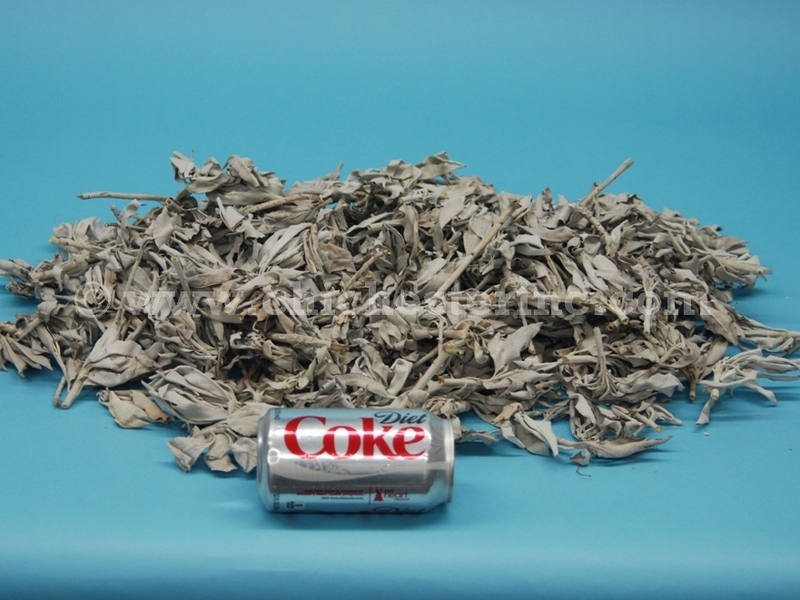 Right: 1 pound of loose white sage. See a size comparison with a soda can. 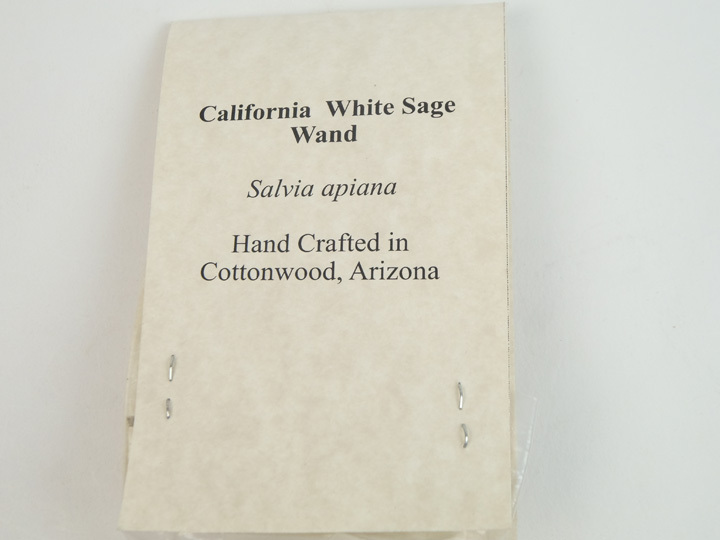 California White Sage comes loose or in bundles. 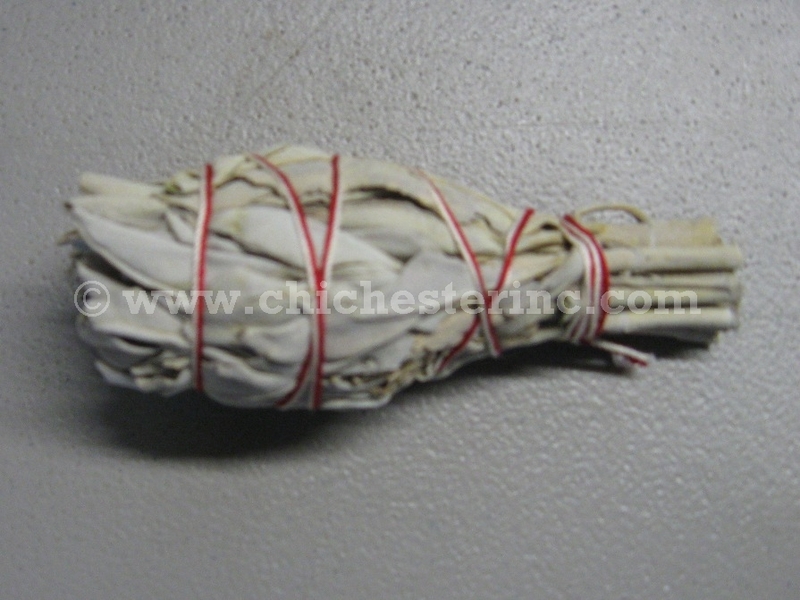 This sage is ideal for use in smudging ceremonies. Sage is also a natural bug repellent, e.g. for mosquitoes and ladybugs. Add sage to your campfire or fire pit to keep mosquitoes and bugs away. 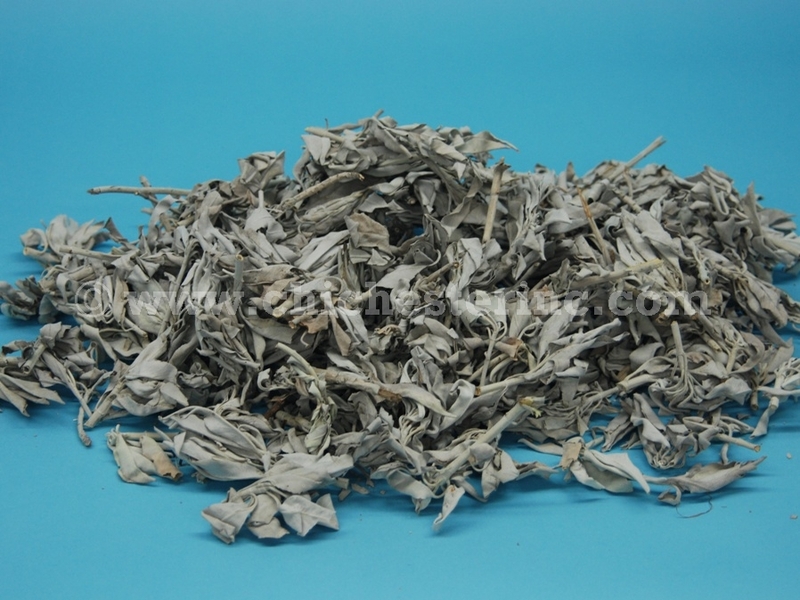 We also carry Iroquois blue sage bundles and Gray Sage. 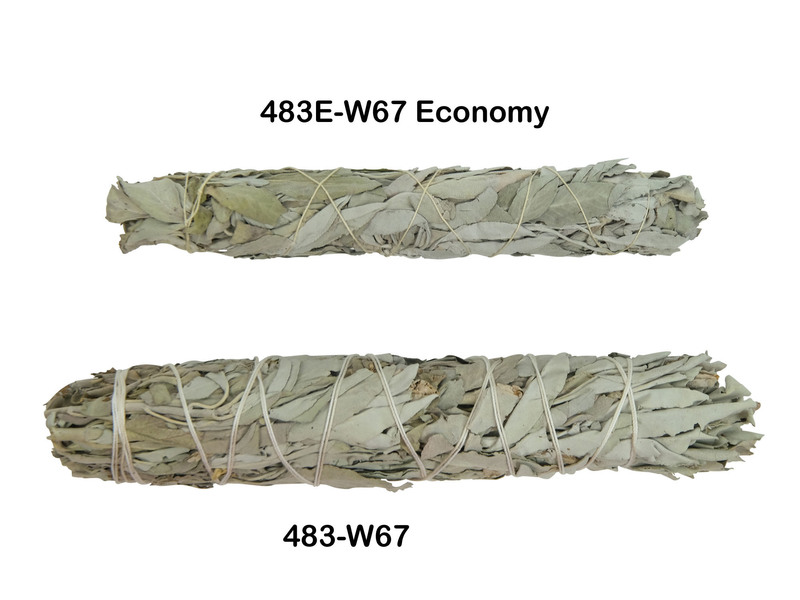 The economy sage bundles are skinnier and/or have more twigs than the regular bundles. The 3" to 4" sage bundles weigh 0.5 to 0.9 oz or 16 to 26 grams each. 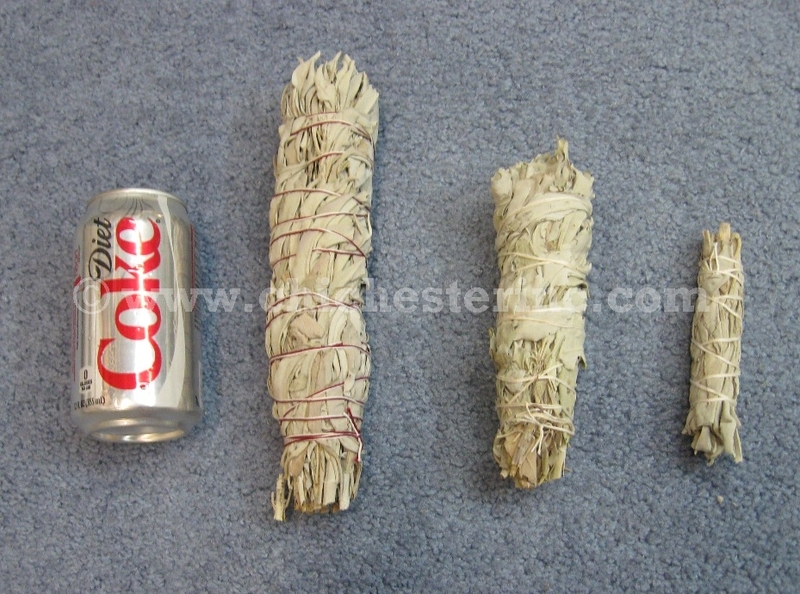 There are two different bundles as shown in the pictures above for the 3-4" bundles. 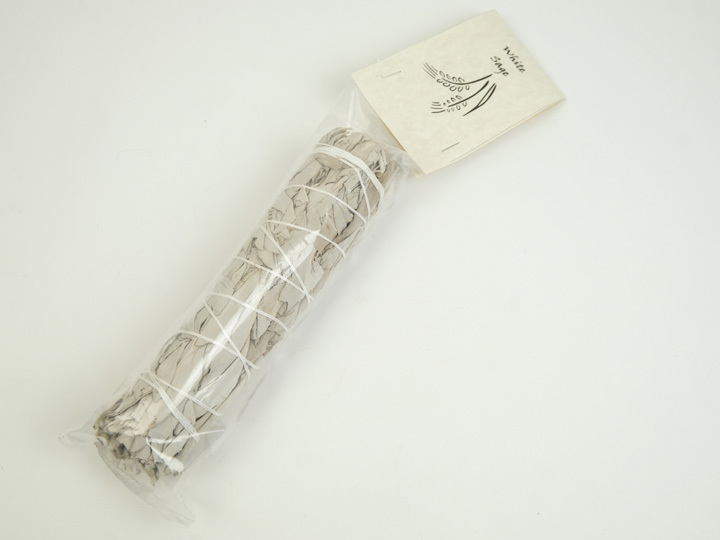 Some of the sage bundles are bagged with a card attached to the top of the bag. Each bundle weighs approximately 115 grams. 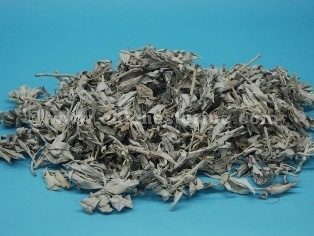 R-483-WLB California White Sage:Loose US$56.00 / lb. 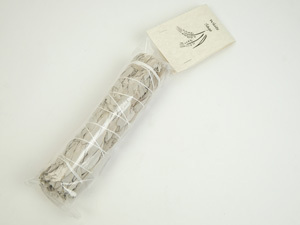 Sage bundles can be packaged with a card attached to the top of the bag. 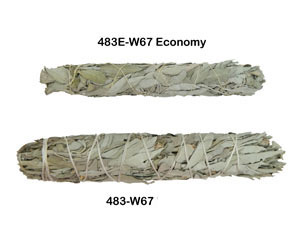 Comparison of an economy and regular 6-7" sage bundle.